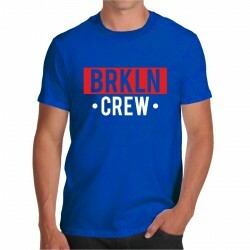 T-shirt BRKLN CREW - Brooklyn crew in back - Per un outfit esclusivo. Top. T-shirt BRKLN CREW - Brooklyn crew in back - Maglietta veramente bella e molto fashion. Ideale per un outfit esclusivo e ricercato.